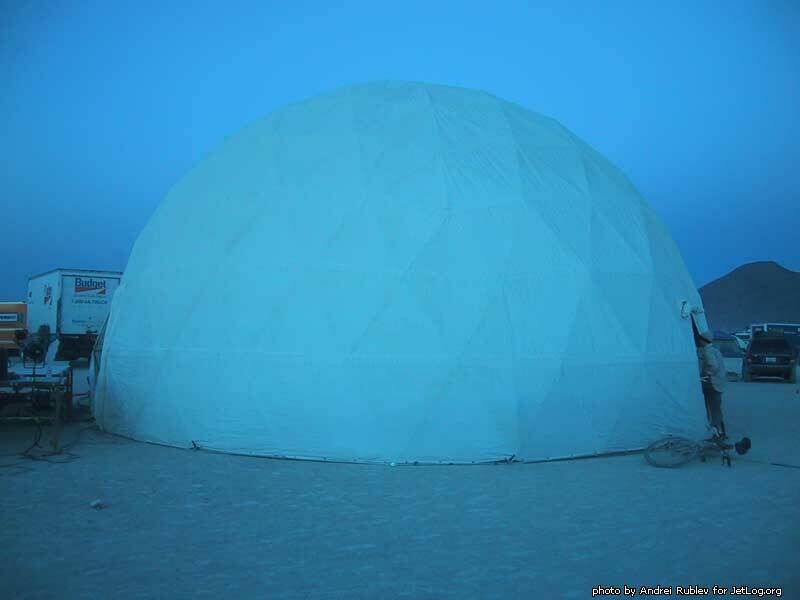 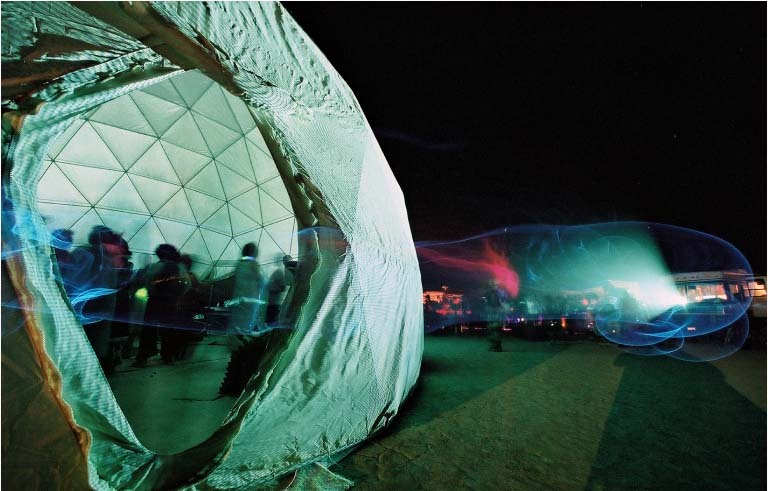 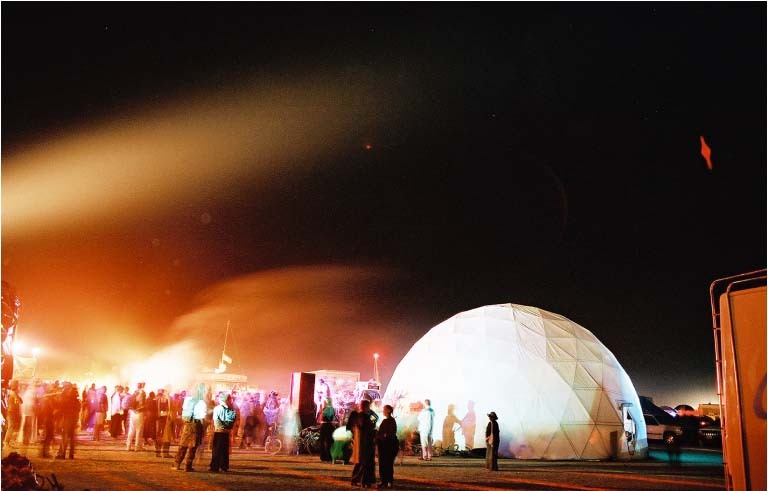 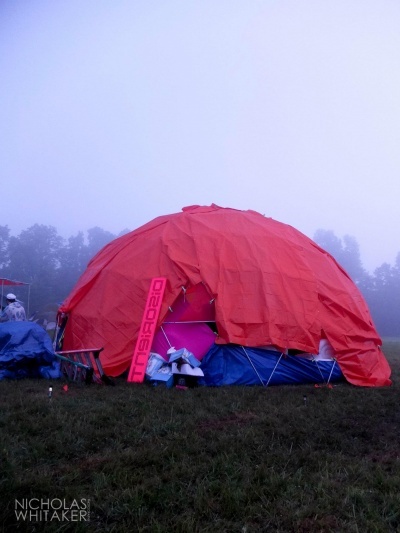 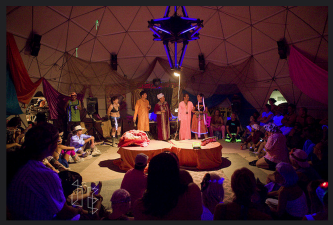 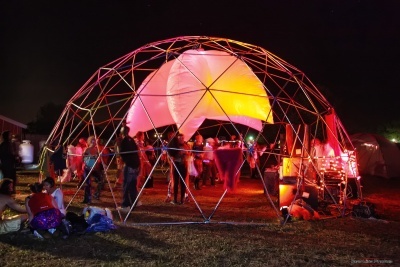 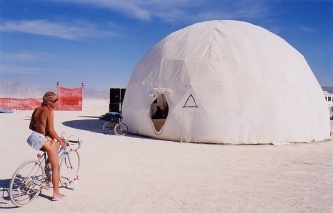 Geodesic Domes are intertwined with the history of Disorient. 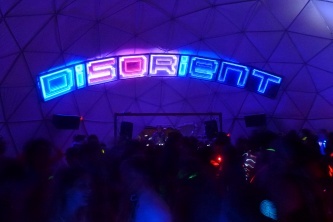 Domes covered with video are a signature of Disorient. 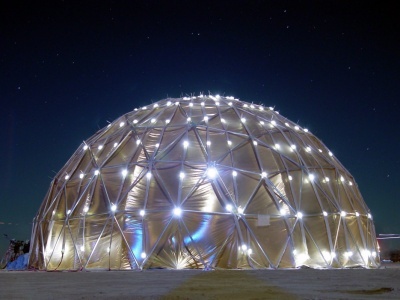 A geodesic dome is an almost spherical shell structure based on a network of great circles (geodesics) lying approximately on the surface of a sphere. 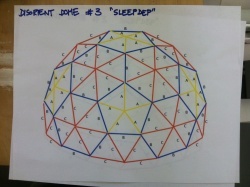 The geodesics intersect to form triangular elements that have local triangular rigidity and also distribute the stress across the entire structure. 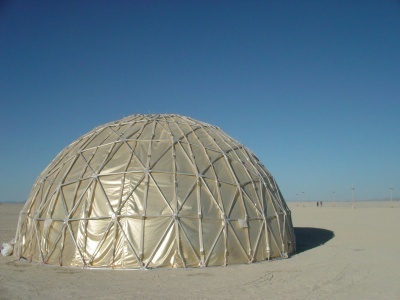 - A - 30x - 45.5"
- C - 60x - 53"
- D - 72x - 56.25"
- E - 30x - 58.25"
- F - 31x - 53.75"
- G - 40x - 47.75"
- H - 18x - 60"
- (H) - 2x - 38.5"
- J - 2x - 40"
- K - 1x - 39.5"
20120713 - 5/8 config installed at Warsaw for Disorient presents: COMPRESSOR. 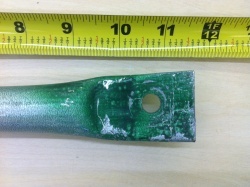 20120709 - John Dingee fabricates more struts. 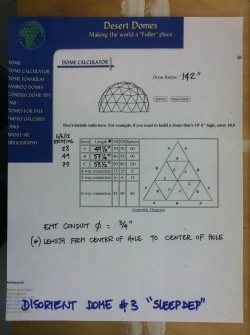 Dome now have enough struts for 5/8 config. 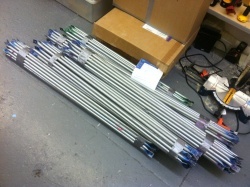 20120610 - Enough struts for 3/8 config (installed at Figment 2012), some missing struts to complete 5/8 config. 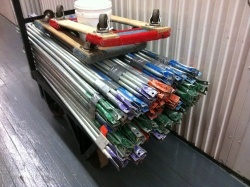 20120610 - When fabricating more struts, consider making enough to complete 3/4 config. 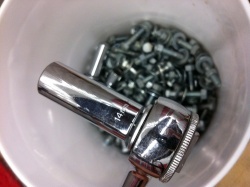 20120610 - Need to purchase hardware (bolts, nuts and washers). 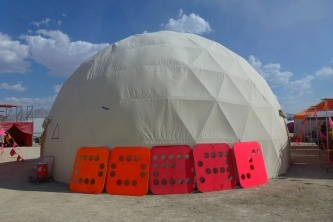 Until then, use Dome #4 hardware.